Should you go see the new animated Grinch movie? Based on my experience of dozing throughout the film, I would advise against it. The mixture of animated humor and child-like drama is not intended for a college humbug student like myself. Although it was not my favorite film, this is the perfect movie for a family with young kids that want to get into the Christmas spirit a little early! The movie’s air date was November 9th and has been receiving mixed reviews from critics since. Knowing the storyline and not being a huge fan of animation, I would suggest just sticking with the classic 2000 Grinch film. I do not know what I was expecting, but a few seconds in, I realized that this was not going to be very enjoyable for me. Apparently, I am the Grinch that just cannot be happy as others disagreed with me. I watched the classic Dr. Seuss’ How the Grinch Stole Christmas the other day, and I can honestly say that I was a little terrified at times, so I completely understand the desire for an animated version for little kids; while the live-action version is a good interpretation, the costuming and acting gets disturbing at times. 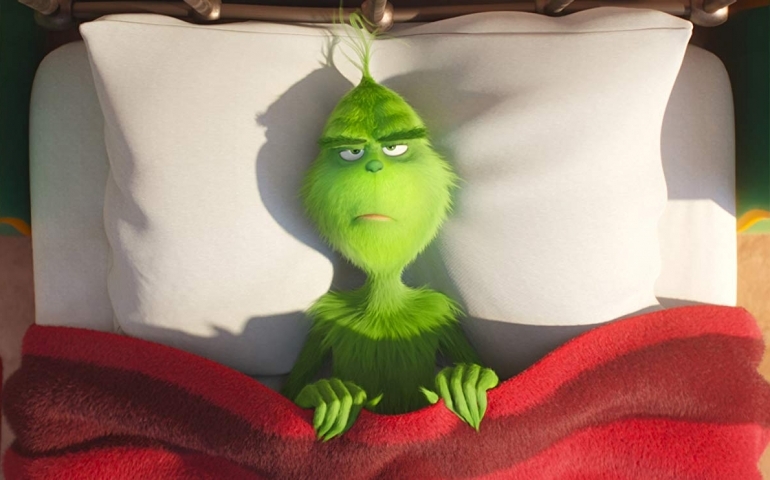 The part that I could not get past was Benedict Cumberbatch as the voice of the animated Grinch. In the 2000 film, Jim Carrey did an incredible job of being the Grinch, and the voice that he gave his character can never be replaced. It is what makes the Grinch, the Grinch! Cumberbatch did a great job, but it just was not the same. When going to see this adorable animated film, it would be best to avoid comparing this movie to the classic version. Overall, the movie was average, but I would definitely only recommend if you are under the age of 5 or loved the movie, The Secret Life of Pets.